There are a whole lot of geometric shapes that are determined by the number of sides. 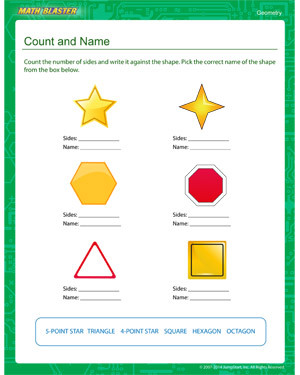 With this fun worksheet for kids, they can go beyond the basic shapes and explore more complex shapes like hexagons and octagons. Check out other geometry worksheets to teach kids about various shapes.